We are an AAHA-accredited, primary care veterinary hospital for cats and dogs. Our patients come to us from the Greater Newburyport area and beyond, including Salisbury, Newburyport, Amesbury, Merrimac, Newbury, Byfield, West Newbury, and southern New Hampshire. We offer comprehensive medical, surgical, and dental care. Wellness visits involve a thorough physical exam, and discussions about appropriate vaccinations and parasite control, based on your pet's lifestyle. Illness visits include a comprehensive physical exam, specifically addressing your concerns. If more diagnostics are recommended, these options are discussed with you. Treatment options are discussed as well, so that you can play an integral role in decisions regarding your pet's health. Anesthesia is used for procedures involving surgery and dentistry. We believe that safe anesthesia is the only anesthesia for your pet. We understand pet owners' concerns and use only best practices! 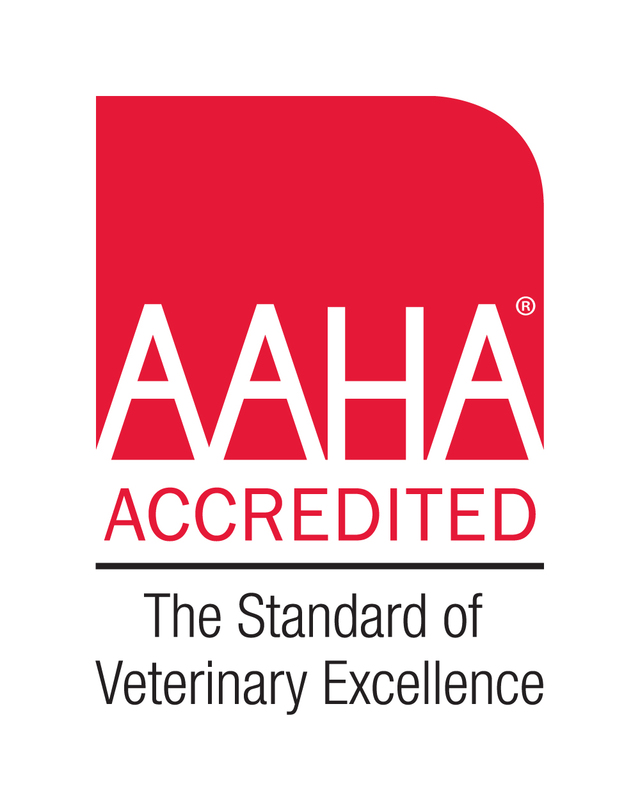 Our AAHA accreditation is proof that our anesthetic protocols are the best and the safest for your cat or dog. Please browse our services by choosing Wellness, Illness, or Anesthesia tabs above. Not every service that we provide is included on this list. If you are looking for something but cannot find it, please call us. We would be delighted to speak with you.